"Some things are best kept secret"
Minnie is an aspiring cartoon artist, and she just recently decided to start keeping an audio diary. She suddenly awakens, and wants to start experiencing her sexuality. Minnie does not see herself as attractive, even though she receives positive attention from the boys at school. Minnie and her mother’s boyfriend go out one day because her mom is too busy with other things. Monroe takes Minnie to a bar. She flirts with him and tells him that she would like to experience certain things. The pair soon begins to have secret meetings at Monroe’s house. Minnie one day soon sees her favorite cartoonist inside of a comic book store. Minnie soon mails her original creation to her favorite cartoonist. Eventually, Minnie’s sexual appetite grows. So, she starts to have an intimate relationship with a boy from her school named Ricky. It does not happen for long because he finds her very intimidating. Minnie and her friend Kimmie go out to a bar, and pose as hookers. They lure two men in the bathroom. The next day they agree not to ever do that again. Minnie’s mom loses her job as a librarian. Her stepdad offers Minnie the opportunity to live with him. She refuses his offer. She does however, ask him for money. He ends up sending their mom a check. 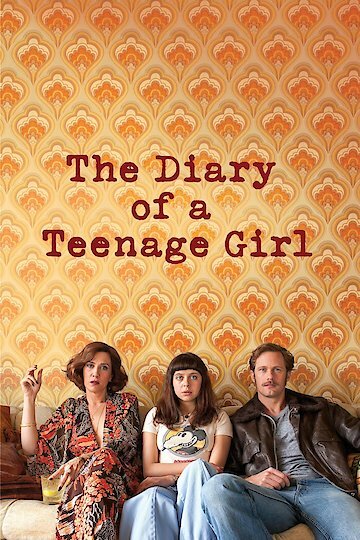 The Diary of a Teenage Girl is currently available to watch and stream, buy, rent on demand at FlixFling VOD, Amazon, Vudu, FandangoNow, iTunes, YouTube VOD online.